Aussie Aussie Aussie, Oi Oi Oi! The 26th of January is fast approaching, it’s still school holidays so if you haven’t already thought about something do to, you are behind. No matter, we are here to save the day! We have compiled a list of fun things to do this Australia Day around the Perth area. This year, the celebrations are falling on a Thursday (if you were smart you would’ve booked the Friday off in advance months ago). For those who did not think this far ahead, you must be looking for something to do with the family but doesn’t finish too late as you still have work the next day. We think this one is fairly obvious, but not everyone knows about it. 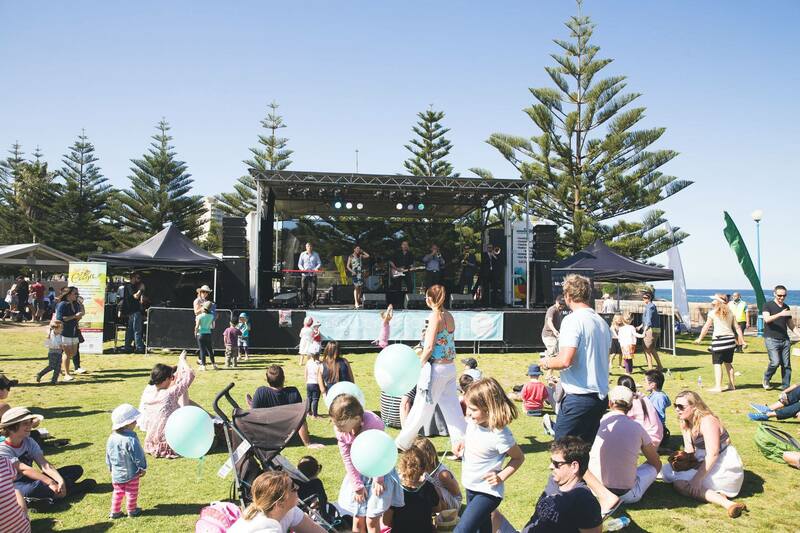 Langley Park based on the Perth foreshore on Riverside Drive hosts the biggest family fun day every single year. It is without a doubt the best spot in town to view the fireworks. The best part about this is everything is completely FREE! That’s right, you don’t pay a cent for the entertainment available and boy are there plenty of things to do. We’d suggest bringing bathers because there is a massive inflatable water park right in the middle provided by Monsterball Amusements. Mix 94.5 will be around hosting a stage and we’re not event mentioning everything! We are expecting great sunny weather so this is the perfect opportunity to get the kids out of the house and enjoy a day out. There are also great views of the Perth CBD, so you get the best of both worlds, city and river views. The event runs from 3-8.30pm and we would suggest taking public transport to get there as we can almost guarantee parking will be an absolute nightmare. There will be an indigenous concert performed at the Supreme Court Gardens, this one shouldn’t be missed. The sky show finale will begin at 8pm and go for 30mins. There really is something to do for everyone in the family. So the event at Langley Park starts in the afternoon and finishes quite late. If you are looking for something great to do but still want your evening to yourself, we have a suggestion! Coogee Beach is a hidden gem and they are hosting their very own event this Aussie Day. Held on Powell Road, Coogee near the cafe, you will have access to sausage sizzles, free family entertainment and live performances. There will be a watermelon eating competition and if you bring your own makeshift helmet you can actually win $100! Do you ever think your sandcastles are so great they deserve recognition? Coogee Beach is the place to be because your castles could win you season passes to Adventure World. Parking will be limited, so we’d recommend taking public transport there and back. As we mentioned before this is for the early risers, this one starts at 8am and goes until 12pm. Do you live out in the suburbs and do not want to drive to the city? The City of Armadale is hosting an event at Minnawarra Park so you and the family should make your way down there! Not only will there be live entertainment, there will be inflatables, water slides and Bubble Soccer (brought to you by Monsterball Amusements & Hire) This one is also free so it won’t break the bank. There will be an animal farm for the younger ones to enjoy and Go Kartz for everyone. Don’t forget to bring your bathers and towel because there is a water splash zone! Parking will be available, but keep an eye out for all the road closures.